You listen and make your choice! 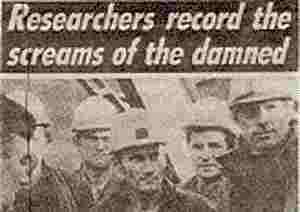 Researchers record the screams of the damned? Fact or fiction? You decide.